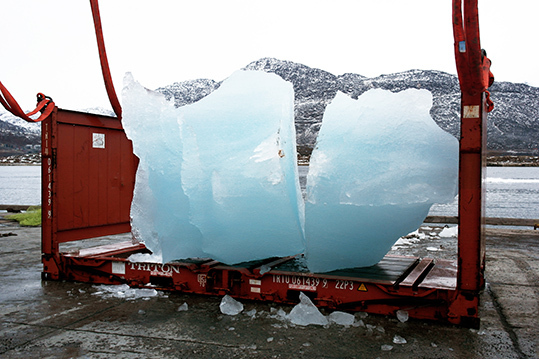 Ice Watch is a large-scale, site-specific installation by acclaimed Danish-American artist Olafur Eliasson and prominent Danish geologist Minik Rosing. It comprises 12 huge blocks of ice harvested from free-floating icebergs in Greenland. 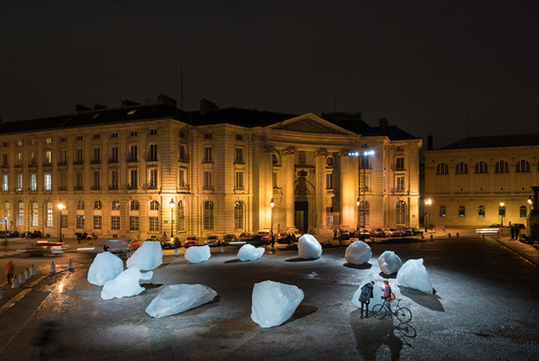 The ephemeral work, installed in a clock formation on the Place du Panthéon in Paris, is melting away during COP21, the 2015 Paris Climate Conference, which runs until 11 December.